STAR WITNESS Champion 3YO Colt in Australia in 2010-11. 4 wins-3 at 2-to 1200m, £107,640, A$1,202,200, VRC Coolmore Stud S., Gr.1, MRC Blue Diamond S., Gr.1, VRC Talindert S., L, MVRC Tatts Group 2YO P., 2d VRC Patinack Classic, Gr.1, Royal Ascot King's Stand S., Gr.1, 3d Royal Ascot Golden Jubilee S., Gr.1, MRC Vain S., L, Manfred S., L, 4th MRC Schillaci S., Gr.2. He entered stud in Aust. in 2011. Sire of 395 progeny to race, 238 winners (60.0%), earnings of over $25 million, 15 stakes winners, 15 stakes placegetters, inc. GLOBAL GLAMOUR (13f, Testa Rossa, Success Express). 5 wins-1 at 2-from 1000m to 1600m to 2017-18, A$1,561,400, ATC Flight S., Gr.1, MRC Thousand Guineas, Gr.1, ATC Light Fingers S., Gr.2, MRC Tristarc S., Gr.2, 2d ATC Canterbury S., Gr.1, Arrowfield 3YO Sprint S., Gr.2, Apollo S., Gr.2, GCTC Magic Millions Guineas, RL, 3d ATC Surround S., Gr.2, NSW Tatt's RC Furious S., Gr.2, 4th ATC Expressway S., Gr.2. STAR TURN (13c, Made of Gold, Pre Emptive Strike). 3 wins-1 at 2-at 1100m, A$877,300, MRC Schillaci S., Gr.2, ATC San Domenico S., Gr.3, Pierro 2YO P., 2d ATC Run to the Rose H., Gr.2, MRC Blue Diamond Prelude (c&g), Gr.3, 3d VRC Newmarket H., Gr.1, Lightning S., Gr.1, Coolmore Stud S., Gr.1, MVRC William Reid S., Gr.1, ATC Antler Luggage Kirkham 2YO P.
MELLA MARIA (12f, Keep the Faith, Danehill). 3 wins-2 at 2-to 1450m, R454,700, Turffontein Johannesburg Spring Fillies & Mares Challenge, Gr.2, 2d Turffontein Starling S., Gr.3, 3d Turffontein Pretty Polly S., Gr.3, Vaal Book a Table Graduation P.
FUHRYK (13f, Langfuhr, At Talaq). 6 wins at 1100m, 1200m to 2017-18, A$759,785, MRC Kevin Hayes S., Gr.3, SAJC Proud Miss S., Gr.3, MRC Alinghi S., L, MVRC VOBIS Gold Carat, CRT Whites Rural H., 2d WATC Winterbottom S., Gr.1, SAJC Euclase S., Gr.2, MRC Geoffrey Bellmaine S., Gr.3. GRAFF (15c, Keep the Faith, Devaraja). 3 wins-2 at 2-at 1100m, 1300m to 2018-19, A$1,042,860, ATC San Domenico S., Gr.3, Hawkesbury RC Clarendon 2YO S., ATC Sledmere Stud 2YO H., 2d ATC Run to the Rose H., Gr.2, 3d ATC Golden Rose S., Gr.1, 4th VRC Newmarket H., Gr.1, Lightning S., Gr.1. CROWN WITNESS (14f, Kahal, Kilconnel). 3 wins-1 at 2-at 1000m, 1100m to 2017-18, A$256,650, MRC Quezette S., Gr.3, VRC Winter Lodge H., MRC Clanbrooke Racing 2YO H., 2d MVRC Ladbrokes 55 Second Challenge H., 4th MRC Blue Sapphire S., Gr.3. STELLAR COLLISION (12g, More Than Ready, Green Desert). 10 wins-1 at 2-to 1250m to 2018-19, A$595,900, MRC Christmas S., L, MRC (Mornington) Hareeba S., L, SAJC Adelaide Cup Raceday H., Hughes Limousines H., MVRC Ascend Trophies Premium P., Opus Group Tour of Victoria Sprint Final H., Melbourne Signage Concepts H., MRC Willhillwolfpack P., Cranbourne TC Apache Cat H., 2d SAJC Matrice S., L, Warrnambool RC Wangoom H., L-twice, Sale TC Viatek H., 3d MVRC Australia S., Gr.2, VRC Goodwood Racecourse Trophy H., L.
OUR CROWN MISTRESS (14f, Fastnet Rock, Marscay). 5 wins to 1400m to 2018-19, A$291,000, VRC Lexus Hybrid P., L, BRC Just Now H., L, MRC Resimax P., 3d MRC Cape Grim Beef Steaks S., Gr.3, 4th VRC Hong Kong Jockey Club S., Gr.3, BRC Nudgee S., L.
LYCURGUS (13g, Testa Rossa, End Sweep). 6 wins-1 at 2-from 1100m to 2500m to 2017-18, A$437,465, MRC Galilee Series Final H., L, VRC High Country H., MRC Ladbrokes Odds Boost H.-twice, 2d VRC Trevor Clarke H., Happy Holidays H., ATC Tab.com.au H., MRC Ladbrokes Challenge H., 3d MRC Inglis Cup, VRC Banjo Paterson Series Final H., Juvenile Diabetes Research Foundation H.
MAGIC ALIBI (12f, Magic Albert, Distinctly North). 5 wins to 1350m to 2017-18, A$474,885, Ipswich TC Gai Waterhouse Classic, L, ATC TAB H., More Than Just Winning H., More Than Ready at Vinery P., 2d ATC Bradford Soundscreen H., Pre-Purchase & Save H., 3d ATC Sheraco S., Gr.2, Sheraco S., Gr.3, GCTC Magic Millions Fillies & Mares P., ATC TAB H., Roadwork Solutions H., 4th ATC Sheraco S., Gr.3, Gosford Guineas, L.
THE BARRISTER - HIGH VOLATILITY (H.K.) (12g, Desert Sun, Pre Emptive Strike). 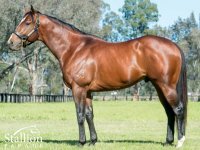 5 wins-2 at 2-from 1200m to 1650m to 2017-18, A$165,510, HK$4,680,150, ATC Fernhill H., L, MRC (Mornington) Martin Collins Fibretrack Sires' 2YO P., HKJC Jardine H., Percival H., Kam Shan H., 2d HKJC Tianjin H., H Moser & Cie Excellent H., Panasonic 100th Anniversary H., Wayfoong Centenary Bowl H., Austin H., King Kwong H., Longchamp Racecourse H., Golf Club Centenary Cup, Tai Ping Shan H., Jaffe H.
LORD BALMORAL (13c, Zabeel, Sheikh Albadou). 4 wins-1 at 2-at 1200m, 1400m to 2017-18, R369,681, Kenilworth Sophomore Sprint H., L, Greyville Blomeyers Electrical H., 2d Durbanville Betting World H.
COSMIC ALERT (15f, Rock of Gibraltar, Made of Gold). 3 wins from 1400m to 1700m in 2018-19, A$102,575, SAJC Laelia S., L, Schweppes H., 2d SAJC Guinness St Pats Day H.
WELL SPRUNG (12g, Grand Slam, Lord at War). 3 wins at 1000m, 1200m, A$305,765, MVRC Mitchell McKenzie S., L, VRC Singapore Turf Club Trophy H., MRC (Mornington) Building Brands H., 2d MRC Testa Rossa S., L, VRC Lloyd Williams Hall of Fame H., Victorian Owner Gold Card H., MVRC Pizza Fellas H., 3d MVRC Abell S., L, Warrnambool RC Wangoom H., L, MRC (Mornington) Hareeba S., L, 4th MVRC Chandler Macleod S., L.
PEARL STAR (12f, Fastnet Rock, Desert Prince). Winner at 2, A$86,260, SAJC Dequetteville S., L, 3d MRC Redoute's Choice S., L, SAJC Cinderella S., L.
Kimberley Star (12f, Anabaa, Don't Say Halo). 3 wins-2 at 2-at 1300m, 1400m, A$383,885, ATC TAB Rewards 2YO H., Structaflor Yellowtongue P., All Too Hard at Vinery 2YO P., 2d ATC Silver Shadow S., Gr.2, Inglis Nursery, RL, Gosford Guineas, L, 3d ATC Tea Rose S., Gr.2, NSW Tatt's RC Ming Dynasty H., Gr.3, Scone RC Inglis 3YO Guineas, L, ATC McGrath Estate Agents 2YO P., 4th City Tatt's RC Nivison S., Gr.3, ATC Fireball S., L.
Serenade (12f, Pins, O'Reilly). 2 wins-1 at 2-at 1200m, A$197,400, ATC Happy Australia Day 2YO H., 2d BRC Bright Shadow H., L, 3d MVRC Champagne S., Gr.3, ATC Inglis 2YO Classic, RL, SAJC HC Nitschke S., L, 4th ATC Magic Night S., Gr.2. Who's Knocking (14f, Flying Spur, Carnegie). 6 wins to 1400m to 2018-19, A$158,820, 2d Canberra RC National Sprint H., L.
Firsthand (12g, Generous, Last Tycoon). 6 wins to 1400m to 2018-19, A$321,875, ATC November H., MVRC Kane Constructions 3YO H., ATC TJS Services H., Tab.com.au H.-twice, 2d ATC November H., 3d ATC Razor Sharp H., L, Metropolitan Civil Contactors. H., Tab.com.au H., 4th ATC Hall Mark S., Gr.3. Rare Occurrence (13f, Rock of Gibraltar, Octagonal). 5 wins-1 at 2-to 1350m, A$224,300, BRC Hamilton Hotel H., Coca Cola Life 2YO P., Swire Shipping P., Watmek Services H., Weddings H., 2d Qld Tatt's RC Singapore Airlines 2YO Fillies P., SCTC Wimmers Premium Soft Drinks 2YO H., 3d BRC Daybreak Lover P., L, Green Options Racing Ltd H.
Shesees Everything (14f, Blevic, Rory's Jester). 3 wins at 1050m, 1200m to 2018-19, A$193,000, BRC Chu the Phat H., Eloise Gannon Foundation P., Brc.com.au P., 2d Qld Tatt's RC Legacy Fillies & Mares Classic, L, GCTC Magic Millions P., Ubet Calcutta Dinner P., Ipswich TC Channel 7 H., Landmark Leaders Stakes H., 3d Qld Tatt's RC GH Mumm P.
Alta Stella (13f, Euclase, Francis Bacon). 3 wins at 1000m, 1050m to 2017-18, A$95,250, MRC Sheen Group H., SAJC Anthony Scopelitis H., 3d SAJC Manihi Classic, L, MVRC Catanach's Jewellers H., SAJC Hughes Chauffeured Limos P.
She's Our Star (14f, Not a Single Doubt, Lake Coniston). 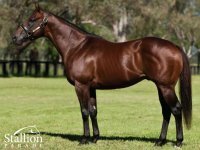 2 wins at 2, A$91,900, BRC Caltex Eagle Farm 2YO H., Architects Dovey Dash 2YO H., 3d BRC Bill Carter S., L, Qld Tatt's RC Crystal Slipper P., BRC Sky Thoroughbred Central 2YO H.
Top of the Class (13f, Royal Academy, Noalcoholic). 2 wins at 1200m, A$131,200, WATC Tabtouch H., 2d WATC Sign On H., Auto Classic BMW H., JJ Richards & Sons H., Quayclean H., Argonaut Corporate Advisers H., 3d WATC Jungle Mist Classic, L, Jungle Dawn Classic, L.
Lineker (12c, Goldkeeper, Nissr). 2 wins-1 at 2-at 1200m, 1400m, R1,420,825, Turffontein Ready to Run Cup, 2d Turffontein Racing It's a Rush P., Kenilworth Skyy Vodka H., 3d Greyville Gatecrasher S., L, 4th Turffontein Dingaans H., Gr.2. Terminology (15f, Commands, Spinning World). 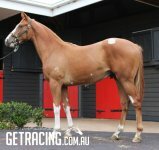 Winner at 1200m in 2018-19, A$219,610, GCTC Magic Millions P., 2d Gosford Guineas, L, GCTC Aquisfarm on Twitter 2YO H., ATC Total Canteen H., 3d ATC Tab.com.au 2YO H., 4th Wyong Magic Millions 2YO Classic, RL. Berkshire Lady (14f, Savabeel, O'Reilly). Winner at 2000m in 2017-18, 3d Tasmanian Oaks, L, MRC Hamilton Reid CA P.
Typhoon Witness (12f, Belong to Me, Last Tycoon). Winner at 1250m, SAJC Rewaaya P., 2d SAJC Dequetteville S., L, 4th SAJC Queen Adelaide S., L.
Steel Diamond (16f, Keep the Faith, Devaraja). 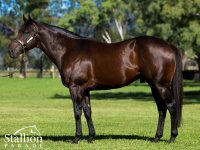 Placed at 2 in 2018-19, 3d ATC Lonhro P., L.
Eden Roc - Sunny Boy (H.K.) (14g, Fastnet Rock, Made of Gold). 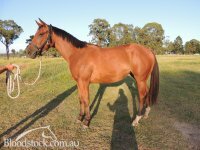 Placed at 2, 2d ATC Australian Fire Hose 2YO P., 3d ATC Lonhro P., L, 4th ATC Skyline S., Gr.2. His sire sons include Star Turn, etc. STARCRAFT (NZ) (Chestnut 2000-Stud 2006). 11 wins from 1400m to 2400m, Australian Derby, Gr.1. Sire of 545 rnrs, 324 wnrs, 20 SW, inc. Star Witness (MRC Blue Diamond S., Gr.1), We Can Say it Now, Hallowell Belle, Property, Blizzard, Crafty Irna, Conte, Day of Rest - Winner's Way (H.K. ), Havana, Lunar Rise, Do You Think, Starcheeka, Celebrity Girl, Ain'tnofallenstar, Starvoia, Perfect Punch, Baschar, Don't Tell Mary, Mr Vadim, Singapore Sling, etc. STAR WITNESS (c by Starcraft (NZ)) 4 wins. See below. NOSTRADAMUS (c by Medaglia d'Oro (USA)) 4 wins-1 at 2-at 1100m, 1200m, A$404,130, ATC San Domenico S., Gr.3, SAJC RN Irwin S., Gr.3, Gold Coast Guineas, Gr.3, VRC Nursery P., 2d ATC Roman Consul S., Gr.2, BRC Hotel Beach House H., 4th MRC Blue Diamond Prelude (c&g), Gr.3, SAJC DC McKay S., Gr.3. Lady Lupino (f by Sebring) 2 wins at 2, A$101,000, in 2018-19, MRC Clanbrooke Racing 2YO H., MVRC Opus Group 2YO P., 3d ATC Champagne S., Gr.1. I'm Corleone (g by Bernardini (USA)) Winner at 1200m, 2d BRC Padua College H., Grinders Coffee P.
Elusive Leone (f by Elusive Quality (USA)) Winner at 1100m, 3d MRC Dream Thoroughbreds H.
Doctor Zed (g by Medaglia d'Oro (USA)) 3 wins to 1200m to 2018-19 in Aust. 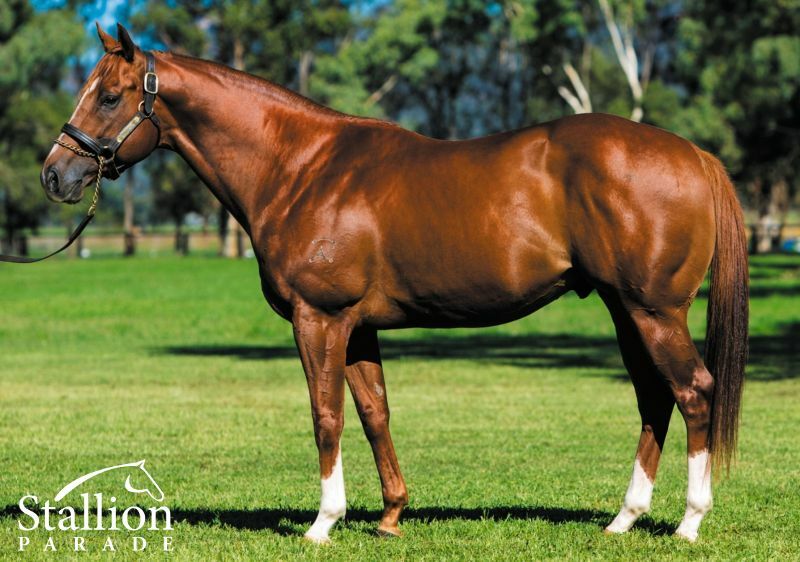 Shir (g by Sepoy) 2 wins at 1200m to 2018-19 in Aust. 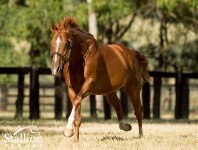 Princess Wildfire (f by Sepoy) Placed in 2017-18 in Aust. 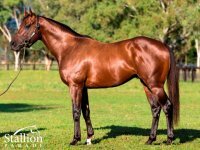 Rendition (f Pierro) Placed at 2 in 2018-19, 2d ARC 100% Appliances 2YO H., 3d ARC Champagne S., L.
FEROCITY (c Lion Hunter) 3 wins-2 at 2-at 1100m, 1200m, A$656,500, VRC Ascot Vale S., Gr.2, SAJC Magic Millions Adelaide 2YO Classic S., VRC Festive Season 2YO P., 2d VRC Australian Cup Carnival S., L, 3d VRC Sires' Produce S., Gr.2, Talindert S., L, Poseidon S., L, 4th VRC Rory's Jester P., Gr.3. Sire. LEONE CHIARA (f Lion Hunter) 7 wins. See above. CHIARAMONTE (c Redoute's Choice) 5 wins to 1200m, A$248,990, ATC Darby Munro S., L, Canterbury Park H., Australian Turf Club H., Sydney Markets Limited H., 2d MRC Heath S., Gr.3, ATC Australian Turf Club H., VRC Robert Eldridge & Lesley Millson H., 3d MRC Testa Rossa S., L, ATC Happy 2nd Birthday ATC H.
High Roller (g Thunder Gulch) 5 wins to 1400m in Macau, 3d Macau Guineas, L.
Absolute. 3 wins to 1400m, A$128,820, in 2017-18, ATC Bowermans Furniture H., 2d ATC TAB H., Tab.com.au P., 3d ATC ClubsNSW H.
POHUTUKAWA (f Medaglia d'Oro) 4 wins-1 at 2-from 1200m to 1600m, A$301,125, to 2018-19, Kembla Grange Classic, Gr.3, VRC Jim Beam Black S., L, ATC Bowermans Office Furniture H., 3d ATC Light Fingers S., Gr.2. Sir Donald. 12 wins from 1400m to 2350m, A$135,380, WATC Rocky Bay Raceday H., Fruit 'n' Veg H., Swan Draught Geraldton Cup, TRC Hydro H.
Race Record: 13 Starts 4-2-3 £107,640, A$1,202,200. 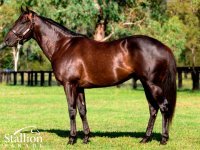 Champion 3YO Colt in Australia in 2010-11. STARCRAFT Champion 3YO in Australia in 2003-04. Champion Older Sprinter in NZ in 2004-05. Champion Older Male Miler in France & GB in 2005. 11 wins from 1400m to 2400m, £153,446, €171,420, NZ$359,000, A$2,106,450, Australian Derby, Gr.1, AJC Chipping Norton S., Gr.1, Newmarket Queen Elizabeth II S., Gr.1, Prix du Moulin de Longchamp, Gr.1, 1600m-in track record time, Hawkes Bay Mudgway Partsworld S., Gr.1, STC Tulloch S., Gr.2, Hawkes Bay Stoney Bridge S., Gr.2, VRC Debonair S., Gr.3, QTC Peintre Celebre H., Leopardstown H., BTC Network Ten H., 2d Hawkes Bay Kelt Capital S., Gr.1, VRC Australian Guineas, Gr.1, 3d MVRC WS Cox P., Gr.1, York Queen Anne S., Gr.1, MRC Yalumba S., Gr.1, QTC River 94.9 Tile Wizards H.. He entered stud in GB in 2006. He entered stud in Aust. in 2006. Sire of 545 progeny to race, 324 winners (59.0%), earnings of over $39 million, 20 stakes winners, 18 stakes placegetters, inc.
WE CAN SAY IT NOW (07f, Generous, Pompeii Court). 4 wins-1 at 2-from 1200m to 1600m, NZ$302,650, WRC Captain Cook S., Gr.1, Levin Classic, Gr.1, Waikato RC James & Annie Sarten Memorial S., L, 2d ARC Great Northern Foal S., L, 4th New Zealand One Thousand Guineas, Gr.1. STAR WITNESS (07c, Lion Hunter, Last Tycoon). Champion 3YO Colt in Australia in 2010-11.4 wins-3 at 2-to 1200m, £107,640, A$1,202,200, VRC Coolmore Stud S., Gr.1, MRC Blue Diamond S., Gr.1, VRC Talindert S., L, MVRC Tatts Group 2YO P., 2d VRC Patinack Classic, Gr.1, Royal Ascot King's Stand S., Gr.1, 3d Royal Ascot Golden Jubilee S., Gr.1, MRC Vain S., L, Manfred S., L, 4th MRC Schillaci S., Gr.2. HALLOWELL BELLE (08f, Beautiful Crown, Rory's Jester). 3 wins at 1100m, 1200m, A$913,775, VRC Gilgai S., Gr.2, ATC Darby Munro S., L, 2d ATC Flight S., Gr.1, MRC Blue Diamond S., Gr.1, VRC Danehill S., Gr.2, MRC Thousand Guineas Prelude, Gr.3, AJC Gimcrack S., L, MRC William Crockett S., L, 3d ATC TJ Smith S., Gr.1, VRC Patinack Classic, Gr.1, ATC Light Fingers S., Gr.2, Surround S., Gr.2, MRC Blue Diamond Prelude (f), Gr.3, ATC James HB Carr S., L, Gosford Guineas, L, 4th MVRC Manikato S., Gr.1, MRC Thousand Guineas, Gr.1. PROPERTY (14g, Anabaa, Hurricane Sky). 3 wins at 2, A$390,800, ATC Kindergarten S., Gr.3, MRC Blue Diamond Prelude (c&g), Gr.3, Blue Diamond Preview (c&g), L, 2d MRC Peter Siggins 2YO P., 4th MRC Caulfield Sprint H., Gr.2. BLIZZARD (11g, Redoute's Choice, Nureyev). 9 wins to 1400m to 2019, S$145,350, HK$15,686,150, 20,800,000¥, HKJC Chinese Club Challenge Cup, Gr.3, Singapore TC Fortune Bowl, L, HKJC Flying Dancer H., Beijing H., Zenith Excellent H., Chinese Club Challenge Cup, A Force for Good H., Audemars Piguet Lady Jules Audemars H., Yin Kong H., 2d HKJC Chief Executive's Cup, Chek Keng H., Precision H., Carpenter H., 3d HKJC Longines Hong Kong Sprint, Gr.1, Sprint Cup, Gr.2, Hong Kong Classic Mile, L, Hong Kong Classic Cup, L, HKSAR Chief Executive's Cup, Panasonic Cup, Singapore TC Class 1 H., 4th HKJC Queen's Silver Jubilee Cup, Gr.1, Singapore TC Chairman's Trophy, L, New Year Cup, L.
CRAFTY IRNA (07f, Deputy Governor, Gleam Machine). 4 wins from 1500m to 2400m, A$463,735, ATC Adrian Knox S., Gr.3, City Tattersalls Club Cup, L, Wyong RC La Gioconda S., 2d ATC Kingston Town S., Gr.3-twice, Millie Fox S., Gr.3, Epona S., Gr.3, Toy Show H., L, Aspiration H., L, 3d VRC Matriarch S., Gr.2, ATC Winter Cup, L, 4th ATC Lord Mayor's Cup, L, Aspiration H., L.
DAY OF REST - WINNER'S WAY (H.K.) (12g, Sunday Silence, Local Talent). 8 wins from 1200m to 1650m to 2018-19, A$41,560, HK$14,518,350, HKJC Sha Tin Vase, Gr.3, HKSAR Chief Executive's Cup H., SAJC Resourceco H., HKJC MacWhinnie Cup, Lion City H., Kate H., Jim and Tonic H., 2d HKJC Premier Cup, Gr.3, Kwangtung Cup, Shan Kwong H., Lusitano Challenge Cup, Mui Wo H., 3d HKJC Centenary Sprint Cup, Gr.1, Sprint Cup, Gr.2, Singapore Turf Club Trophy, 4th HKJC BOCHK Wealth Management Jockey Club Sprint, Gr.2, Oriental Watch Sha Tin Trophy, Gr.2, Celebration Cup, Gr.3, Hong Kong Classic Mile, L.
CONTE (13g, Flying Spur, Jugah). 7 wins from 1200m to 1600m to 2018-19, HK$11,656,050, HKJC Chinese Club Challenge Cup, Gr.3, Kwong Wah H., Lukfook Jewellery Cup, Chevalier Senior Housing H., Sunset Peak H., South Wall H., Revlon H., 2d HKJC Stewards' Cup, Gr.1, Panasonic Cup, 3d HKJC Queen's Silver Jubilee Cup, Gr.1, Ma on Shan H.
LUNAR RISE (09g, Sadler's Wells, Habitat). 5 wins from 1200m to 1600m, A$573,480, VRC Carbine Club S., Gr.3, ATC All Our Mob H., Tab.com.au H., 2d MRC Sandown Guineas, Gr.2, Scone RC Inglis Guineas, RL, ATC Mick Kerr Memorial H., Pintang Cup, All Too Hard at Vinery H., 3d ATC Gloaming S., Gr.3, Canberra RC National Sprint H., L, ATC One Solutions H., 4th ATC Spring Champion S., Gr.1. STARCHEEKA (07g, Canny Lad, Marscay). 4 wins-1 at 2-from 1400m to 2000m, NZ$76,025, Manawatu Classic, Gr.3, WRC Pacific Jewellers 3YO H., 3d ARC Beach Beats BBQ Boxing Day H., Waikato RC Print House H., Counties RC Karaka 2012 H.
HAVANA (10g, Anabaa, Seattle Slew). 3 wins to 1450m, A$212,730, BRC BTC Classic, Gr.3, ATC Get Racy H., 2d BRC Mick Dittman P., L, 3d ATC Todman S., Gr.2. DO YOU THINK (08g, Danehill, Hermitage). 2 wins at 2, A$141,125, 57,500RMB, ATC TL Baillieu H., Gr.3, Sirecam 2YO H., 3d ATC Roman Consul S., Gr.2. AIN'TNOFALLENSTAR (07f, Nothin' Leica Dane, Genghiz). 4 wins-1 at 2-from 1200m to 1600m, A$172,030, SAJC HC Nitschke S., L, Laelia S., L, Panasonic Viera 2YO H., 2d SAJC Adelaide Guineas, L.
CELEBRITY GIRL (08f, Keltrice, Nassipour). 3 wins-1 at 2-to 1100m, A$191,638, VRC Cap d'Antibes S., L, SAJC Redelva S., L, MRC Slickpix 2YO H., 3d VRC Edward Manifold S., Gr.2, 4th MRC Thousand Guineas Prelude, Gr.3. PERFECT PUNCH (08g, Tayasu Tsuyoshi, Belele). 7 wins from 1400m to 1800m, A$233,785, SAJC Hill Smith S., L, Melbourne Cup Day at Morphettville H., 2d BRC Brisbane H., L, SAJC Lexus H., One Toyota Cox Plate Day H., Mollie Rothe 102 H., 3d Geelong Classic, L, SAJC Gliderol Garage Doors H., Spring Gully Sun Dried Tomato H.
MR VADIM (07g, Woodman, Bering). 7 wins from 1300m to 1600m, A$176,083, Kalgoorlie Boulder RC Hannan's H., L, 2d WATC Racingjobs.com.au H., 3d WATC Ozbet.com.au H.
STARVOIA (13f, Charge Forward, Bahhare). 6 wins to 1200m to 2017-18, NZ$157,075, Otago RC Mosgiel S., L, Wingatui Catering H., Speight's H., CJC Andie McNeill Birthday H., Echoes of Heaven at Linwood Park H., Gavelhouse.com S., 2d Otago RC New Zealand Bloodstock Insurance Breeders' S., L, CJC Canterbury Belle S., L, Otago RC Dunedin Guineas, L, Southland Guineas, L, Otago Racing Club Memorial Lane H., 3d Gore Guineas, L.
SINGAPORE SLING (07f, Western Symphony, Kenmare). 5 wins-1 at 2-from 1200m to 1600m, NZ$76,025, ARC Soliloquy S., L, BOP RC Wilson Plumbing, Heating & Gas H., ARC Swiss Deli H., Waikato RC Technical Welding Services H.
BASCHAR (07c, The Minstrel, Stop the Music). 3 wins at 1800m, 2000m, Hoppegarten Preis von Dahlwitz, L, 3d Hoppegarten Grosser Preis von Berlin, Gr.1, Cologne Oppenheim Union Rennen, Gr.2, Grosser Preis der Sparkasse Dortmund, L, 4th Hamburg IDEE Hansa Preis, Gr.2, Milan Premio Federico Tesio, Gr.3. DON'T TELL MARY (07f, Polar Falcon, Master Willie). 2 wins at 2, Beverley Hilary Needler Trophy, L.
Choose (10f, Redoute's Choice, Imposing). 6 wins to 1400m, A$289,820, SAJC Schweppes H., VRC Leonard H., Trackside H., MVRC Cube Finance H., MRC Sportingbet Best Tote H., 2d MRC Mannerism S., Gr.3, Geoffrey Bellmaine S., Gr.3, 3d VRC Frances Tressady S., Gr.3. Craftiness (10g, Redoute's Choice, Bellotto). 6 wins to 1100m, A$293,750, BRC Byron Spurling's Last Stand H., ATC Hyland Race Colours H., Tab.com.au H., TAB Place Multi H., 2d ATC Hall Mark S., Gr.3, NSW Tatt's RC Concorde S., Gr.3, ATC Ranvet H., Sportsyear H., 3d NSW Tatt's RC Concorde S., Gr.3. Starkiato (08g, Flying Spur, Caerleon). 6 wins from 1400m to 1900m, A$161,935, SAJC One Toyota Cox Plate Day H., Rex Lipman H., 2d SAJC RA Lee S., Gr.3, VRC Premier Signs H., MRC Sportingbet H., 3d SAJC Mill Park Stud H., 4th Murray Bridge Gold Cup, L.
Secret Hills - Royal Partner (H.K.) (08g, Danehill, Roberto). 6 wins-2 at 2-from 1000m to 1650m, A$161,025, HK$4,679,725, MVRC Echuca Workers & Services Club 2YO H., HKJC Tai Tam H., Causeway H., Wylie Path H., KC Trans-Island Limousine H., 2d MRC Caulfield Guineas Prelude, Gr.3, HKJC Hoi Yuen H., Shouson Hill H., Sai Wan Ho H., Lei Yue Mun Park H., 3d VRC Henry Bucks S., L, MRC Mitchell McKenzie S., L, HKJC St Andrew's Challenge Quaich H., Wayfoong Centenary Bowl H., Shan Kwong H., Diamond Jubilee Challenge Cup, Shouson Hill H., 4th MRC Manfred S., L.
Keep Cool (07c, Darshaan, Sadler's Wells). 6 wins from 1700m to 2300m, €96,815, 2d Dortmund Hessen Pokal, Gr.3, Frankfurt Fruhjahrspreis des Bankhauses Metzler, Gr.3, Deauville Midi Prix De La Villiere, 3d Krefeld Grosser Bombadier Vossloch Ratibor Rennen, Gr.3, Deauville Prix Royal Barriere, 4th Milan Premio Federico Tesio, Gr.2, Baden-Baden Belmondo Preis, Gr.3, Munich Bavarian Classic, Gr.3, Düsseldorf Henkel Trophy, L, Le Croise-Laroche Grand Prix du Nord, L.
House of Fun (12g, Snippets, Geiger Counter). 5 wins to 1400m, HK$7,544,050, HKJC Front Loading Washing Machine H., Tai Hing H., Pacific Ocean H., Pak Tam Au H., Sun Wui H., 2d HKJC Happy Valley Trophy H., Chevalier Lifts & Escalator H., Nathan H., Racing Club H., Topaz H., 3d HKJC Bauhinia Sprint Trophy H., Gr.3, Po Yan H., Aberdeen H., Lark H.
Stella Lante (09f, Filante, Rubiton). 4 wins-1 at 2-from 1050m to 1600m, A$259,320, MVRC Fisher & Paykel H., SAJC Veolia H., Holdfast Insurance Brokers H., Pure Envy H., 2d Moonee Valley Fillies Classic, Gr.2, MVRC Boscastle P., Sportingbet Best Tote H., SAJC Boag's Draught H.-twice, 3d SAJC Jansz S., Gr.3, Dequetteville S., L, Centaurea S., L, City of Adelaide H., L, MVRC Melbourne Signage Concepts H., SAJC Adelaide Galvanising H., LUCRF Super H., Medallion Homes H., Toll Express H., 4th SAJC Adelaide Guineas, L.
Crafty Cop (13g, Elusive Quality, Danzero). 3 wins-1 at 2-at 1100m, 1200m to 2017-18, A$239,360, ATC Robrick Lodge H., Ascot Restaurant H., TAB More Than Winning 2YO H., 2d ATC Darby Munro S., L, Theraces H., Jem Computer Systems H., Tooheys New H., 3d ATC Schweppervescence H., Gr.3, Tab.com.au H.
Petracca (12g, Redoute's Choice, Rahy). 3 wins from 1200m to 1700m, A$104,640, 2d SAJC Sires' Produce S., Gr.3, 3d VRC Anzac Day S., L.
The Social Network (08f, Woodman, Bering). 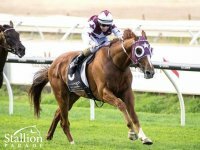 Winner at 1400m, A$145,276, 2d WATC Western Australian Oaks, Gr.3, Westspeed 3YO H., D'Orsogna Sliced & Shaved H., Bangers & Mash 2YO H., 3d Western Australian Derby, Gr.2, WATC Wild Turkey Rare Breed H., Tabtouch.com.au H., Westspeed H., Westspeed 3YO H.
His sire sons include Star Witness (15), etc. Stakes winners this season from 1100m – 2400m. The sire of this season’s Champion 3yo filly elect, dual Group 1 winner GLOBAL GLAMOUR. 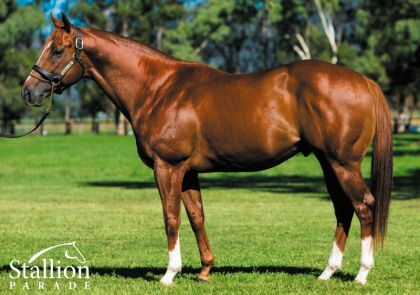 Sire of this season’s explosive multiple Group 1 sprinting 3yo colt STAR TURN. Covered his most impressive book to date last season with over 180 mares currently in foal. Establishing an international profile; stakes winners in South Africa, 80% W/R in Hong Kong. Yearlings in 2017 bought by leading judges; Angus Gold, James Harron, George Moore, Gai Waterhouse, Alan Bell, Julian Blaxland, Tony McEvoy, Ciaron Maher etc.